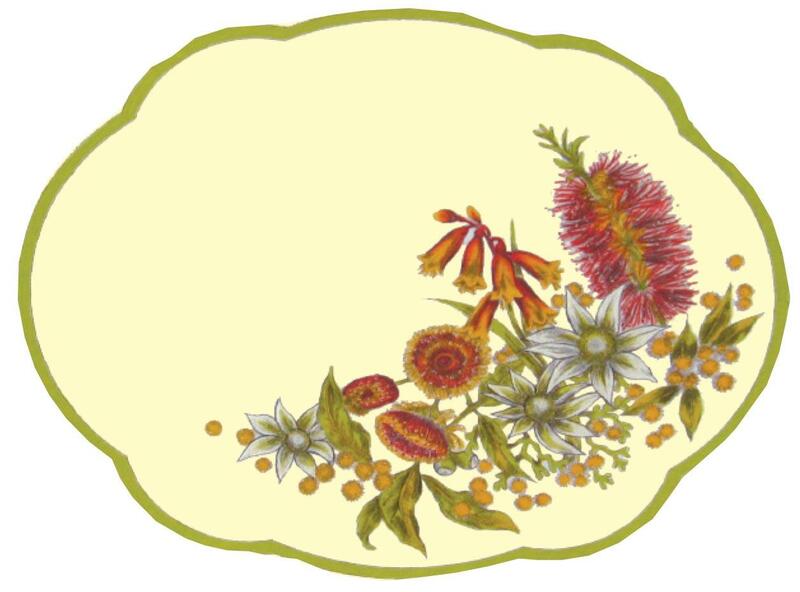 Australian native flora are pre-shaded on non-woven bonded fabric. Measuring approx 28 x 35cm. Requires colours: 1, 3, 9, 76, optional: 84. It is recommended to use a blotter sheet (1632) under the centrepiece whilst painting.